Sometimes you would like to make a comment but can’t use a computer? 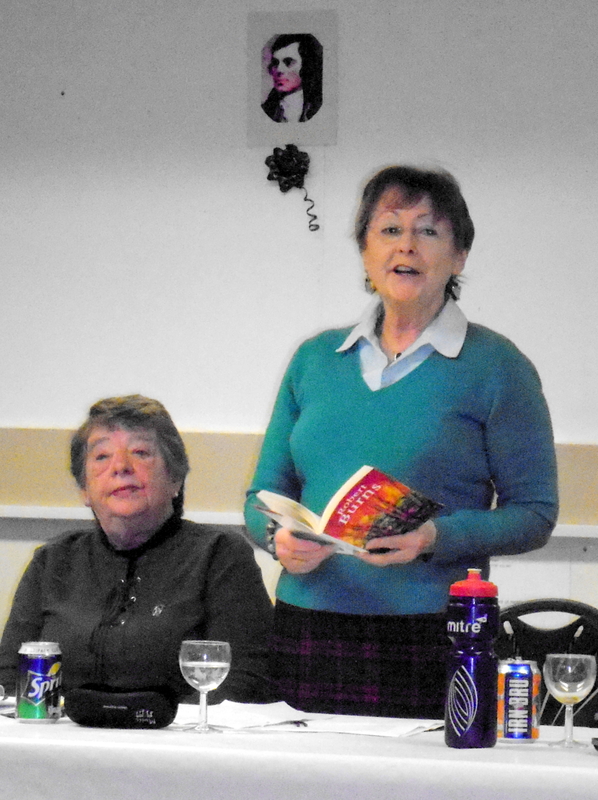 Do as Jean has done and send in a written comment. 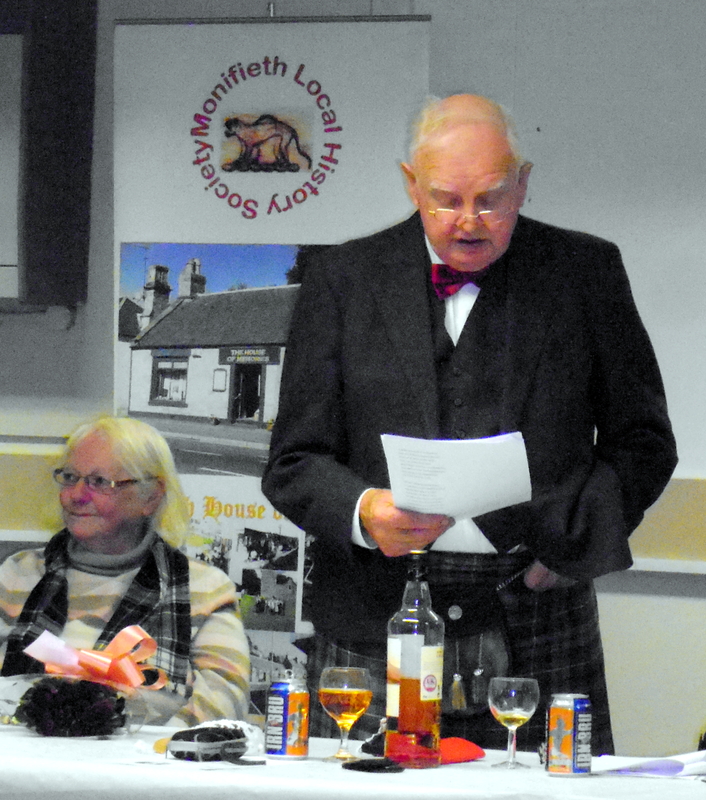 On Wednesday 20th January 2016, Monifieth Local History Society welcomed a gathering of 27 members and friends to the Monifieth Community Cabin to celebrate the birthday of Robert Burns. 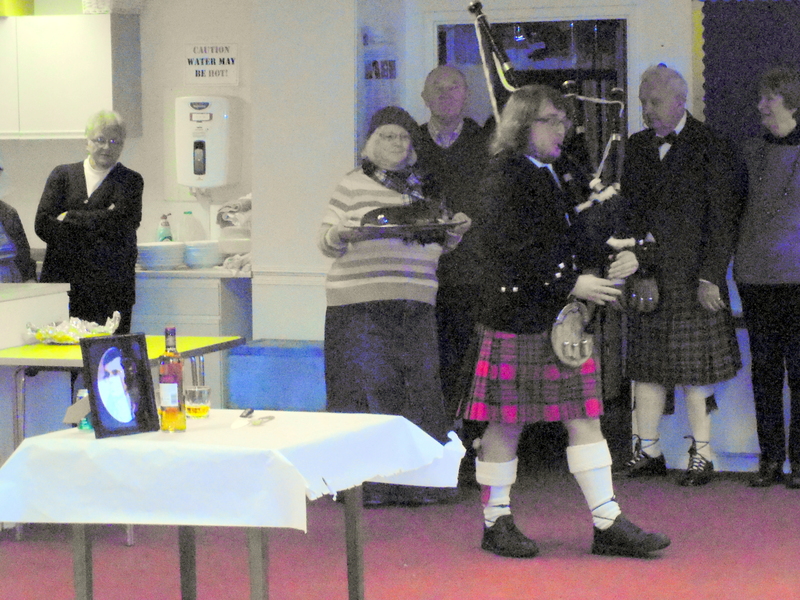 The haggis was piped in by James Hepburn, and Leonore Bell, in the role of Poosie Nancie, carried it in. Joe Morgan gave a dramatic address before plunging a knife into it. 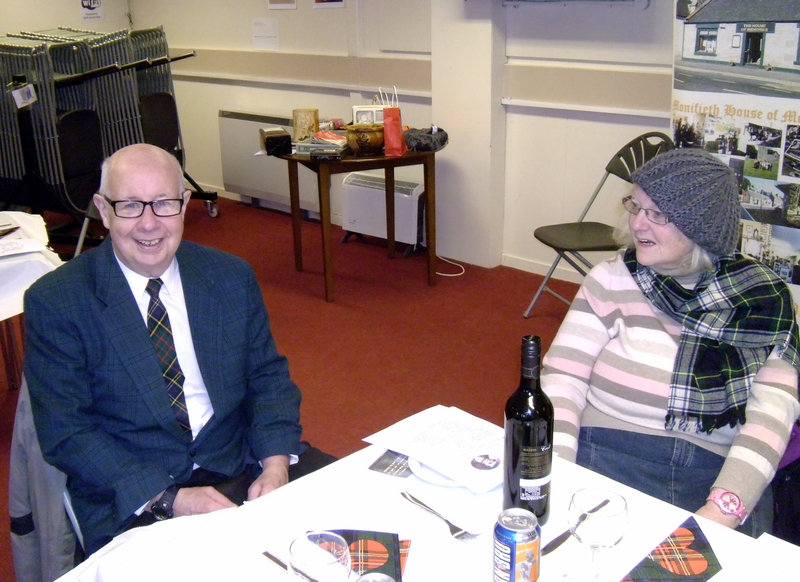 Alex Bell gave the Selkirk Grace, then the company enjoyed excellent haggis, neeps and tatties, accompanied by cans of Irn Bru, in some cases by wine or whisky. 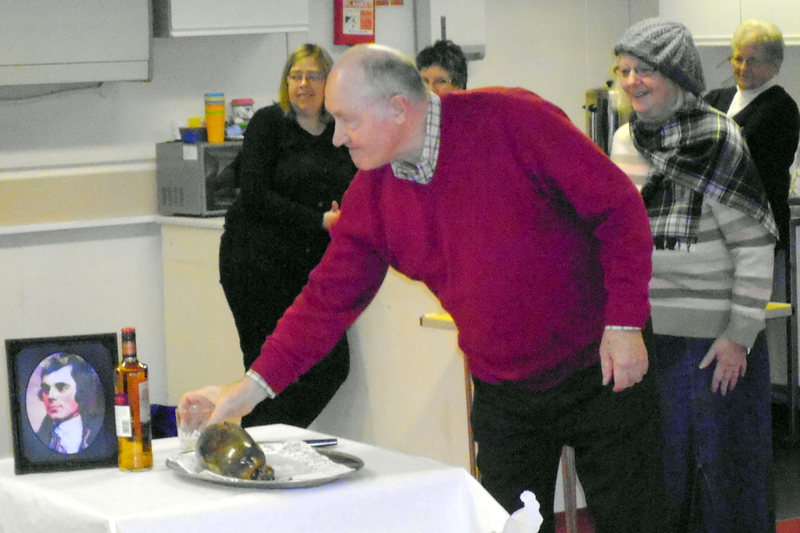 There was a raffle while Jenny’s Kitchen staff cleared the tables, and everyone settled down to savour our wonderful broad Scots tongue. 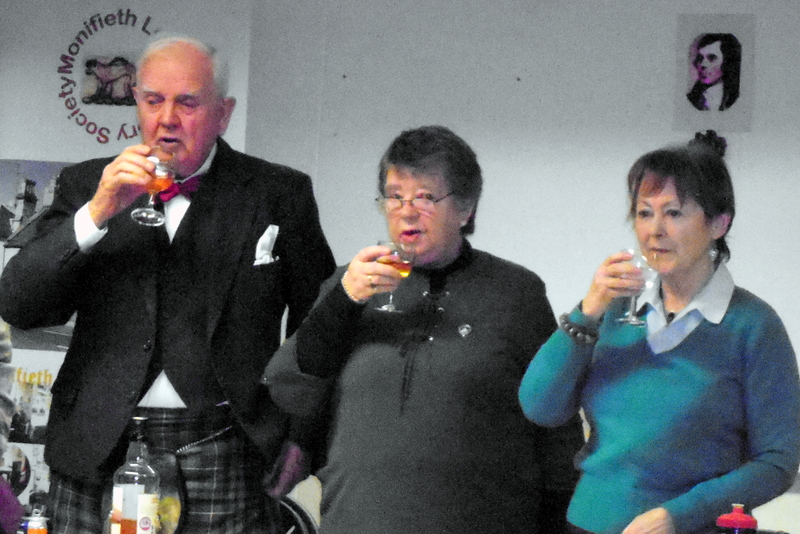 ( Marianna Buultjens ), who also gave the Toast To The Laddies, and Allan Copland responded with an equally entertaining Toast To The Lassies. 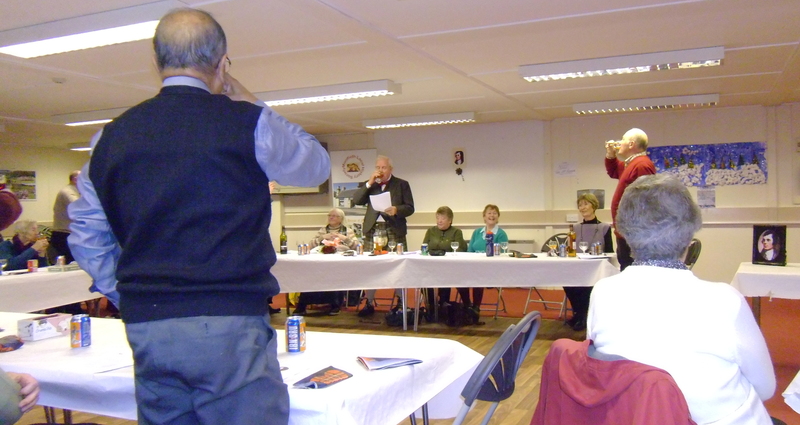 Communal singing of several of Burns’ best known songs – without a piano accompaniment! – was astonishingly successful taking Marianna Buultjens’ lead with a tuning fork. 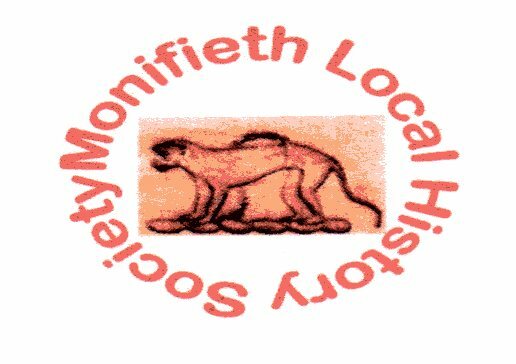 Hopefully news of this most enjoyable venture will spread and next year will see the numbers attending increasing.